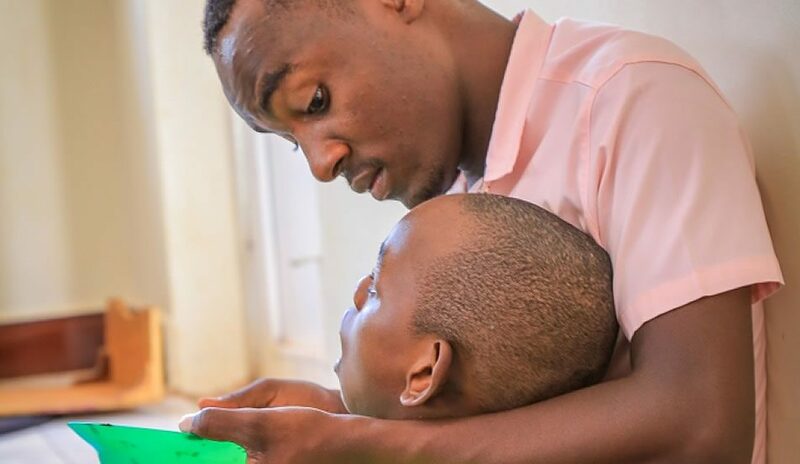 Hello... my name is Henry Wanjala (that's me on the left) and I am a longtime friend of Edith Lukabwe (holding Derrick at right), the Founder and Director of Home of Hope in Jinja, Uganda. 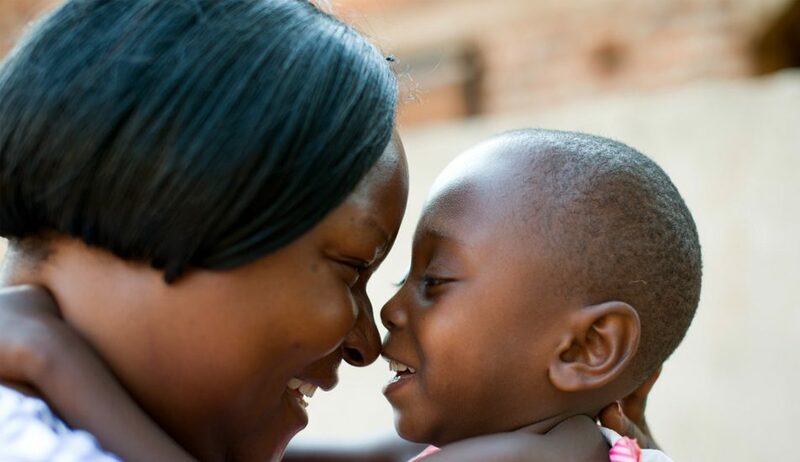 As one of my first projects as a web designer, I was proud to be able to build this website for Edith who has been an inspiration to me as well as so many others who, like me, consider themselves privileged to know her. 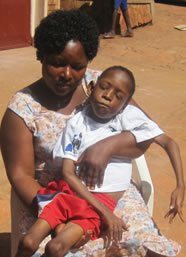 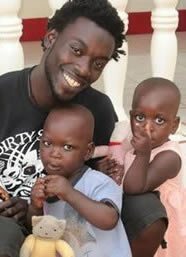 In 2002, Edith's 2 year old son Derrick was diagnosed with meningitis and suffered brain damage leaving him severely disabled with frequent convulsions and breathing difficulties. 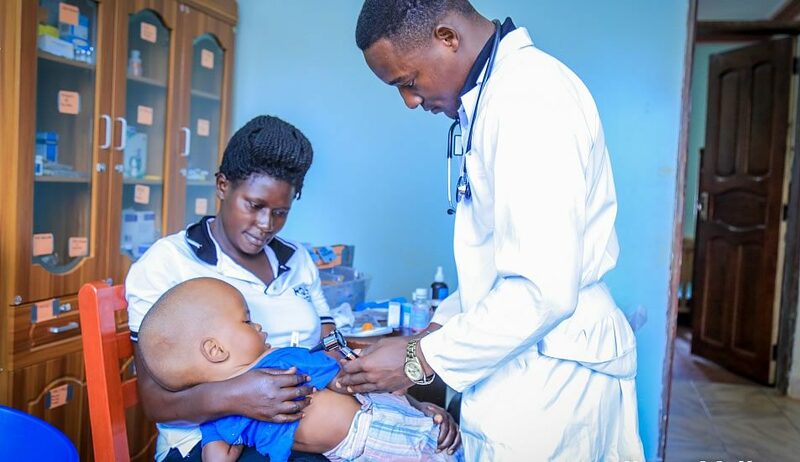 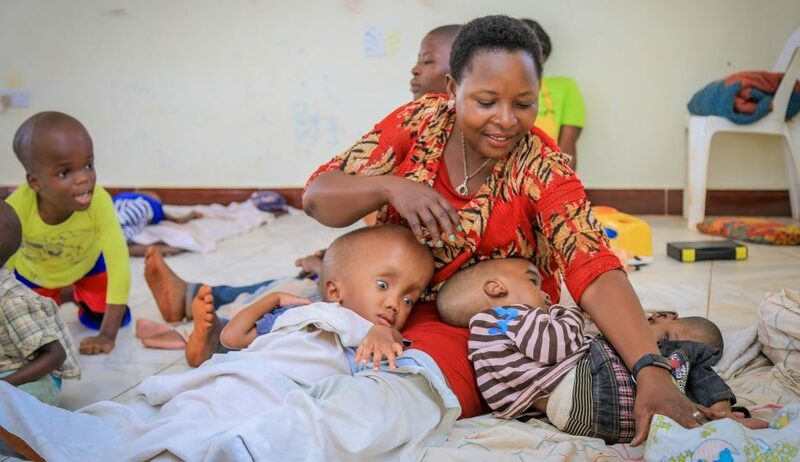 In dealing with her own son's disability, Edith came to know many other mothers, grandmothers and families in the Jinja community who were struggling terribly trying to cope with disabled children and grandchildren. 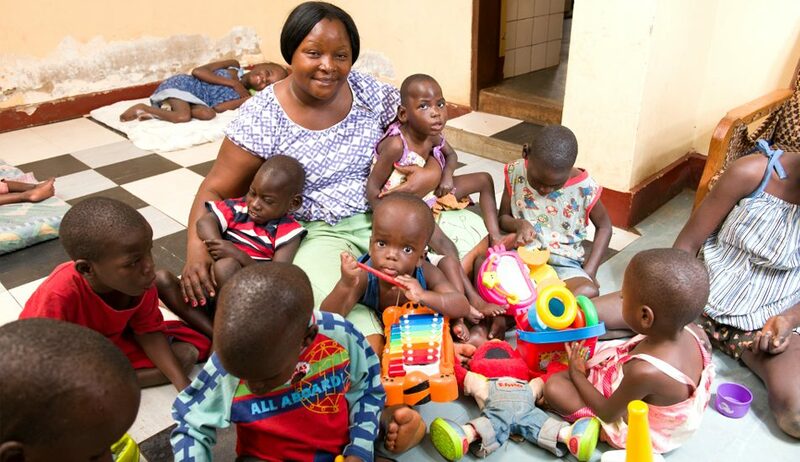 In 2007, Edith, with very limited funds and herself trying to re-cuperate from an accident which left her spinal cord and hip fractured, started the Home of Hope for disabled children. 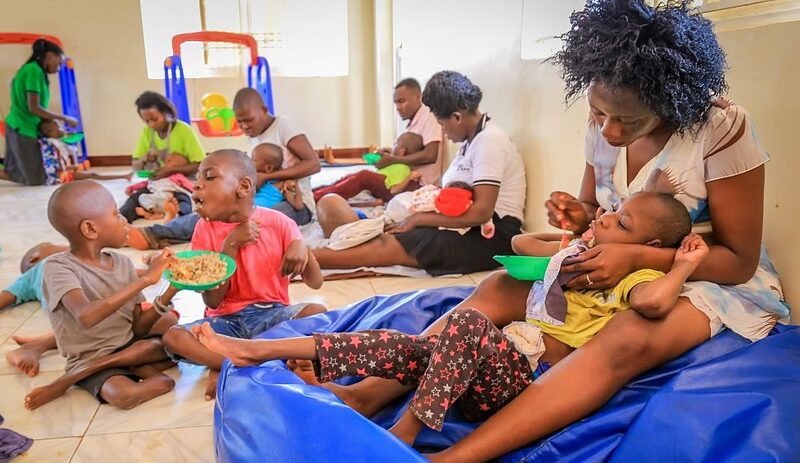 Starting with 5 children as well as her son Derrick, Edith and her staff now care for almost 30 children - many with severe disabilities and some abandoned by parents and relatives unable to cope. 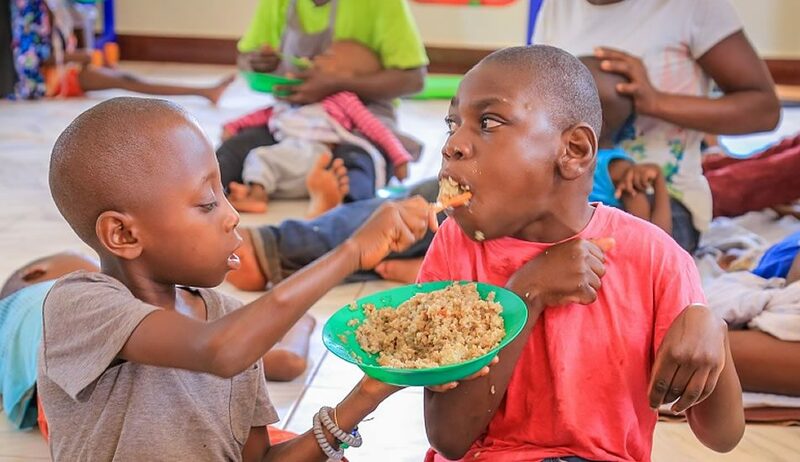 Home of Hope receives no government funding and Edith's monthly expenses for food, medications, surgeries & doctor's care, utilities, wheelchairs, equipment and staffing often exceeds the revenue from donations. 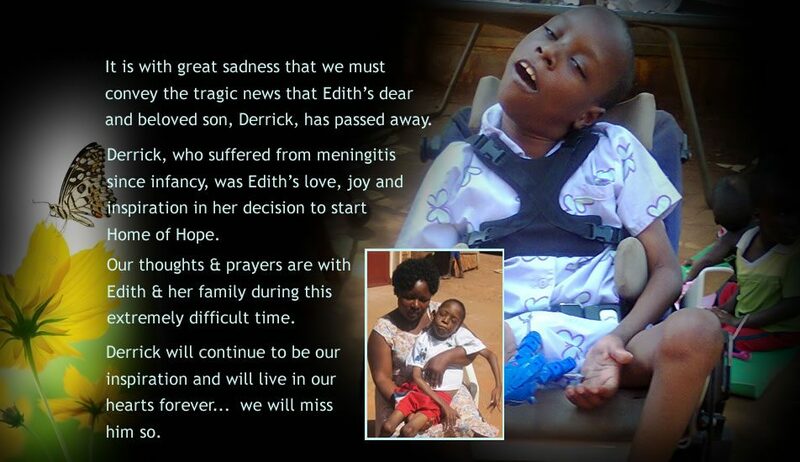 I'm hoping this website will change all that by making caring visitors like you aware of Edith's story. 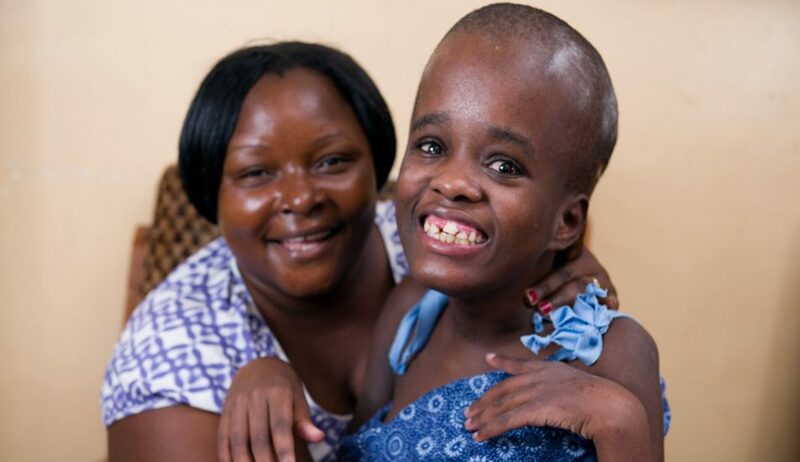 Thank you so much for taking a few minutes to browse these pages and learn more about Edith's Home of Hope. 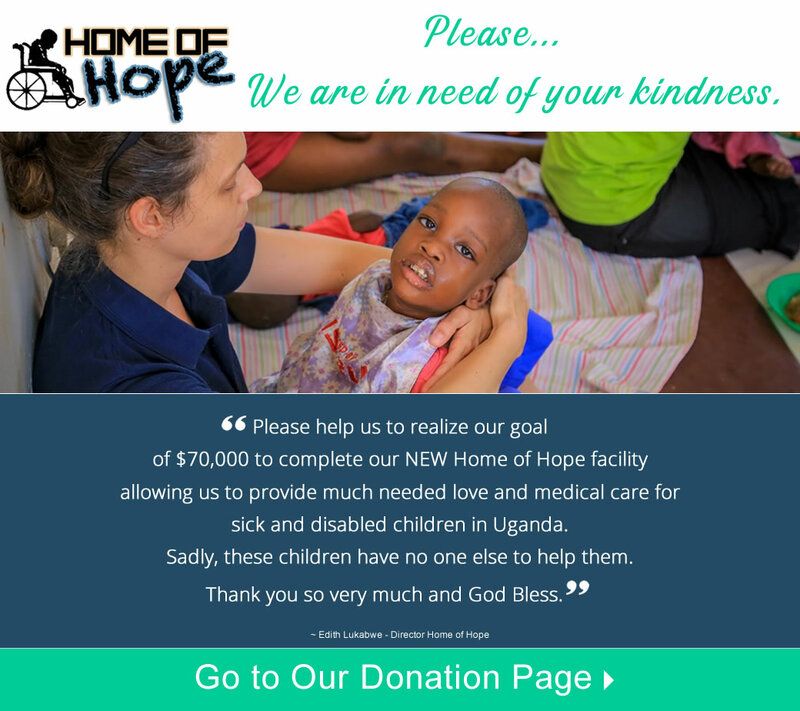 Please consider Giving Back to the Home of Hope. 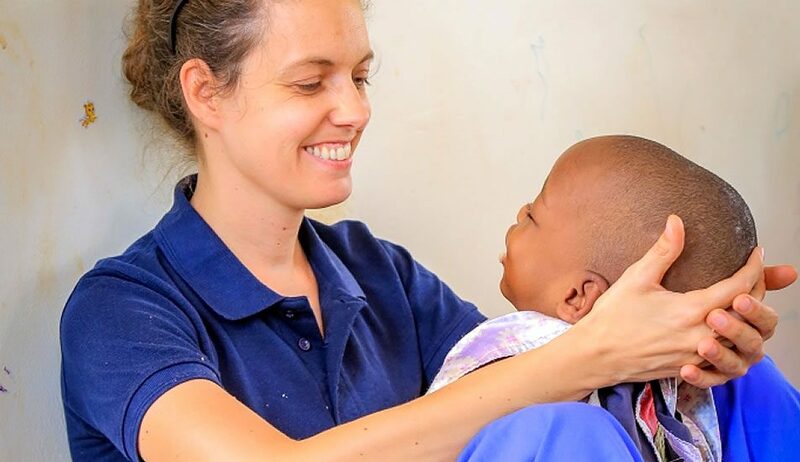 Hope Builders International builds up the body of Christ through local discipleship, national partnerships and international support of indigenous mission activity.